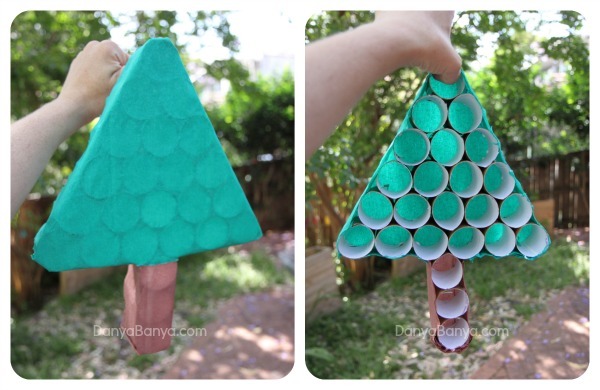 Fun Christmas countdown idea for kids – how to make a TP roll Christmas tree advent calendar! What I liked most about last year’s activity-based Advent Calendar, was that I could change the order of the activities depending on what was happening day by day. 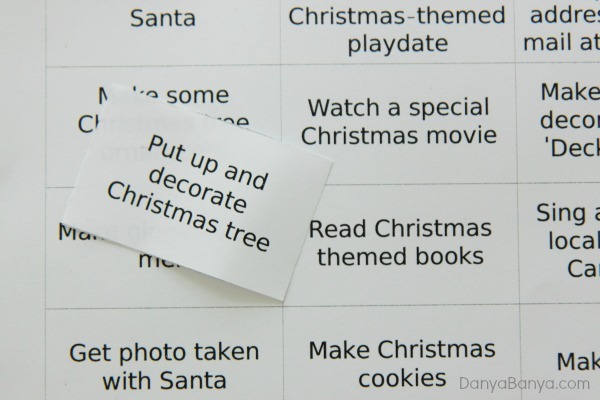 This flexibility meant that we had all the fun of an activity advent calendar, without the stress of having to follow a pre-set schedule. I didn’t have to decide weeks in advance what date we were going to bake gingerbread men. Instead I could wait until the night before to decide what we were going to do the following day. So for this year, I wanted to make an advent calendar that gave me easy access to the individual dates so I could play things by ear again. 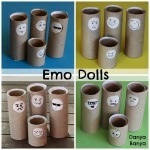 And then I looked at the toilet paper rolls that were collecting on our craft shelves, and I had a little thought. 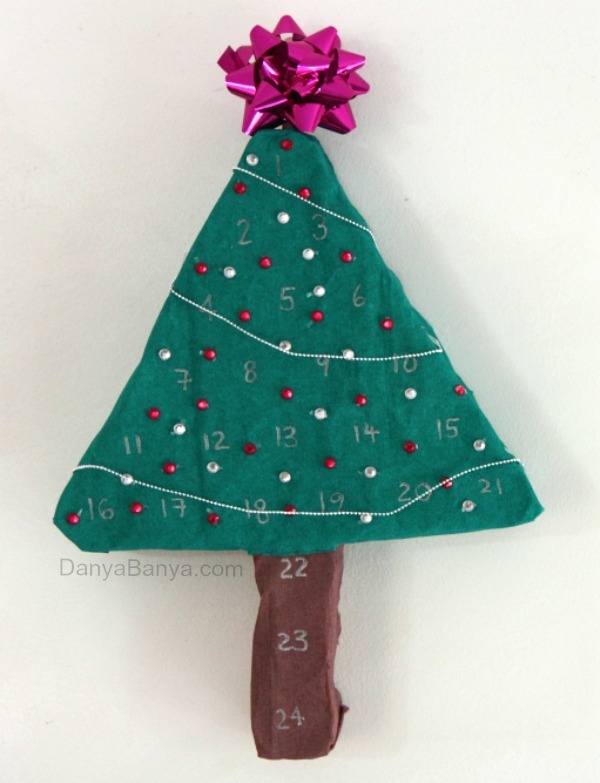 The kids can poke a hole through the front every day to retrieve an activity (or perhaps occasionally a lolly) and get the whole thrill of counting down to Christmas. And I can access all the date slots from the back, so I can add an activity each night for the following day. Win/win! 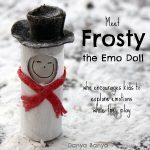 Would you like to see how I made it? 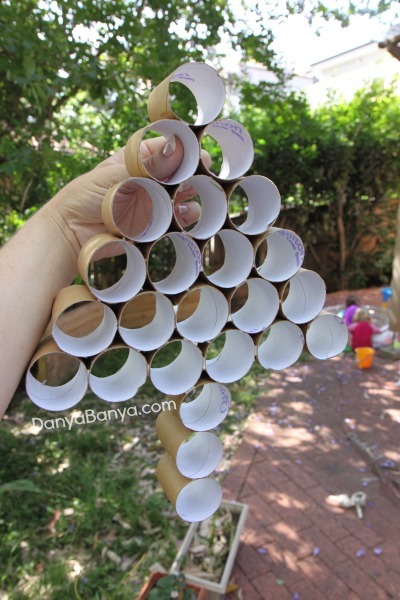 Firstly I cut the toilet paper rolls in half, and glued the tubes together into a tree shape. There’s no need to be too tidy with this part, as the glue dries clear, and you won’t see this bit from the front anyway. 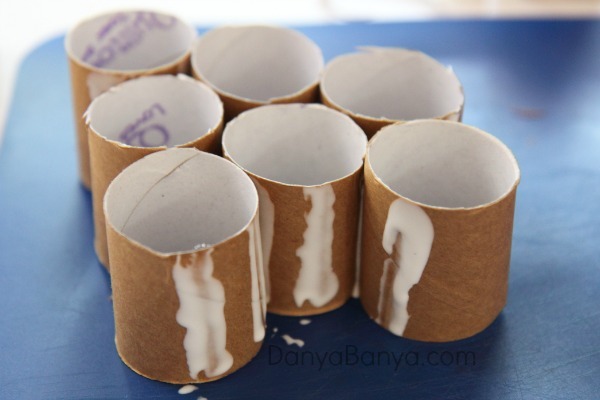 Then use a thin smearing of glue to paste on a double layer of green and brown crepe paper, and cut back to be flush with the loo rolls, adding a touch of extra glue here and there as needed. Now it’s time to add the numbers! I found a silver metallic Sharpie pen (permanent marker) worked best, as the metallic ink doesn’t ‘bleed’ into the contact paper. 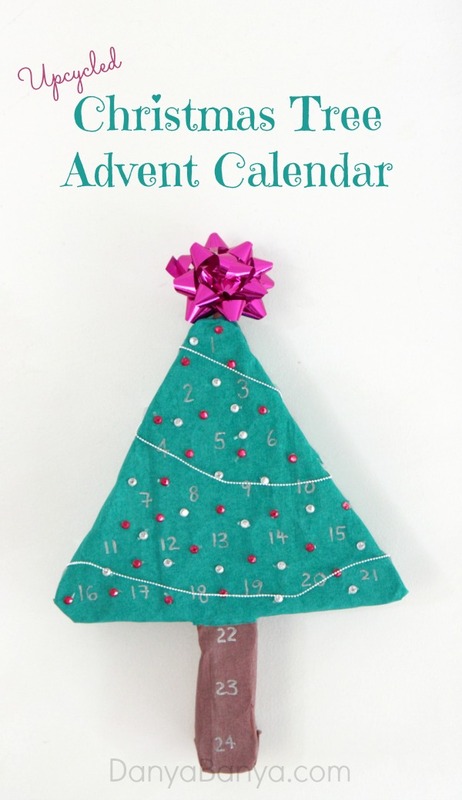 I have added my numbers from 24-1, so that the advent calender is a ‘count down’ to Christmas (i.e. on 1st December, they would open number 24, as there is 24 days until Christmas). If you would rather that the numbers correspond to the date, then use the reverse order. 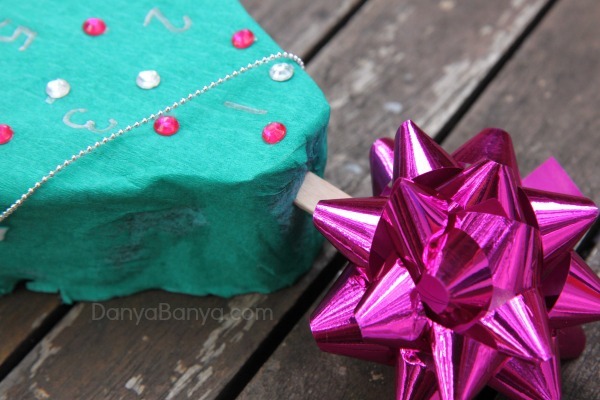 To decorate our little tree, I used some threaded beads and rhinestones that I already had in our craft cupboard. The rhinestones are sticky on the back, which made for easy application. But you could use any decorations really – I imagine sequins would look lovely! To add the bow, I attached it to a craft stick with sticky tape, and cut a small slit in the top most tube. I trimmed the craft stick with secateurs (a trick I learnt from my fairy door days) until it was the right size, and inserted it into the slit. And ta da! 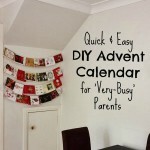 Now the kids have a new advent calendar, that they are just busting to use. 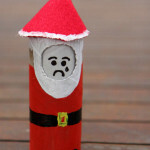 They keep asking if it is 1st December yet. 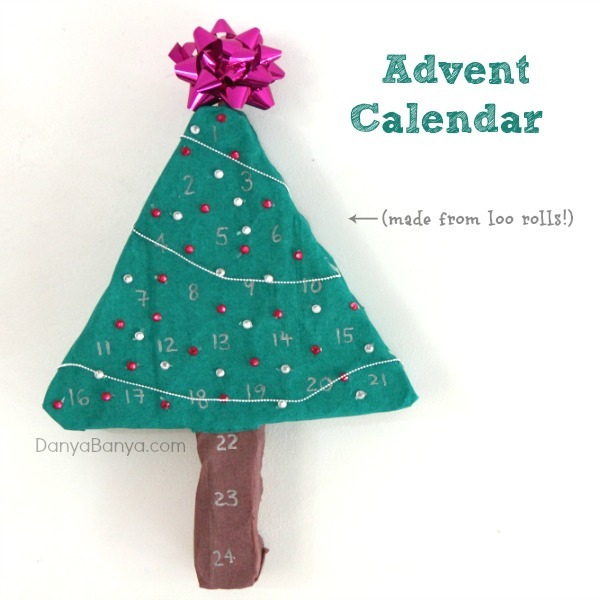 (I think we might need a special advent calendar to count down to the real one!). It can be displayed either lying down flat, or hung on any wall hook. (But I think it looks best up on the wall). You might also like to subscribe to our newsletter, to receive all our latest activities via email. 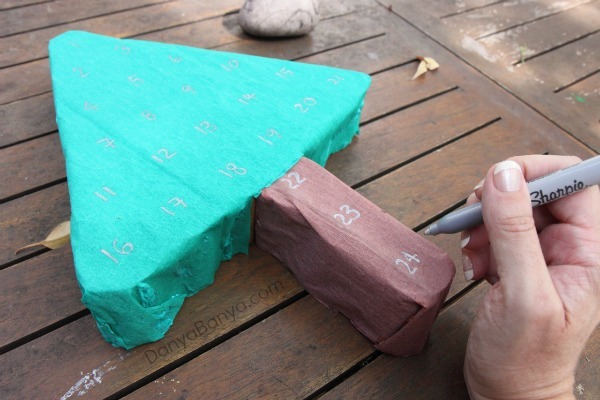 Do you make your own advent calendar? 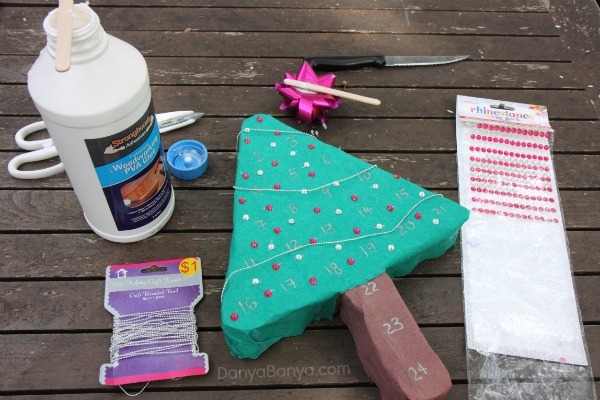 When do you put up your Christmas tree? 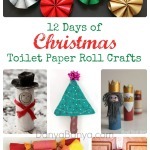 And do you also share my obsession with toilet paper roll crafting? 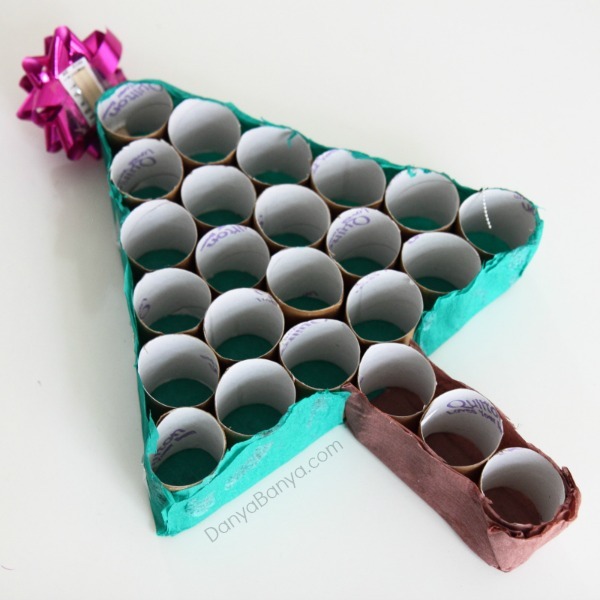 Cardboard tube advent tree – What is Mom trying now!